Are all deaths the same? Are some deaths more acceptable than others? Does the way someone dies affect how we feel about it? Edward Colston was a Bristol-born merchant who became very wealthy through trade, including the transatlantic slave trade. 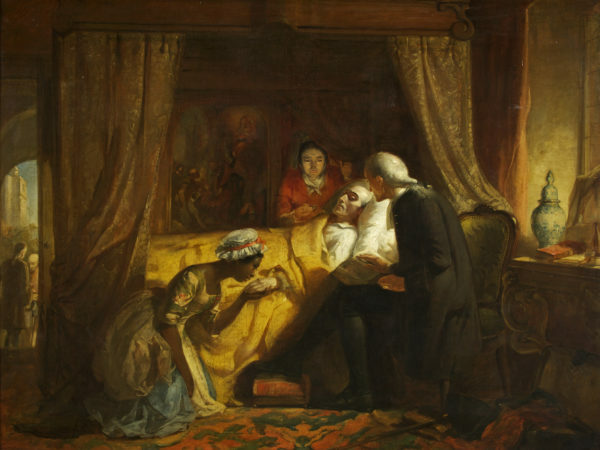 At first glance this painting shows the death of an old man at home in bed surrounded by loved ones. Perhaps a peaceful and ‘good’ way to die? 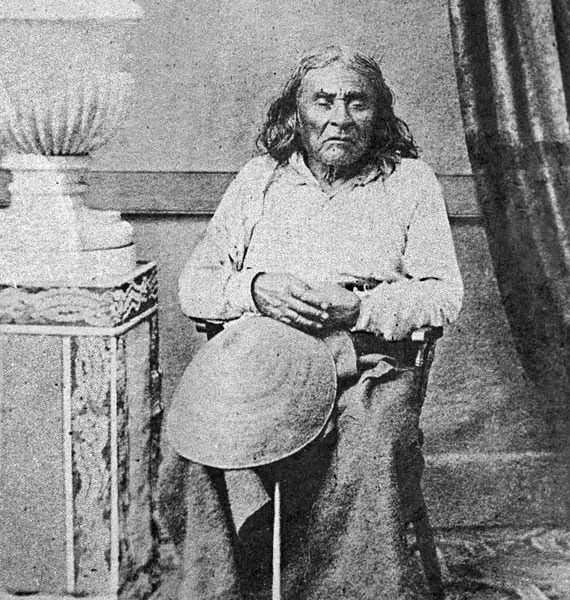 Some people believe that this man was in part responsible for the deaths of many enslaved Africans. Does this make us rethink how we feel about his own death? In that year in London, out of every 1,000 children born, 437 died before they reached the age of two. 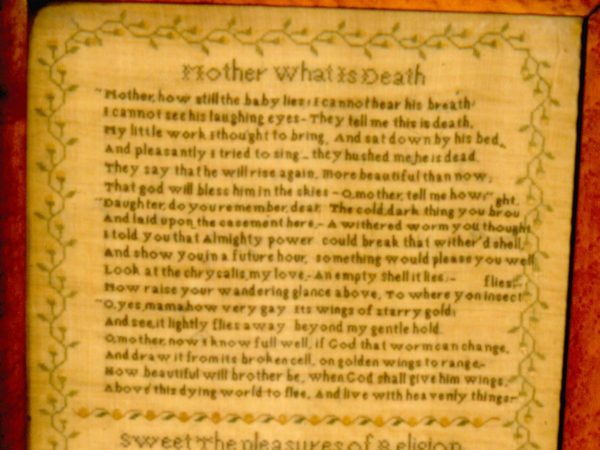 At first glance this poem tells a sad tale about the death of a much loved baby brother. Is the death of a child at any time a heart-breaking and ‘bad’ death? 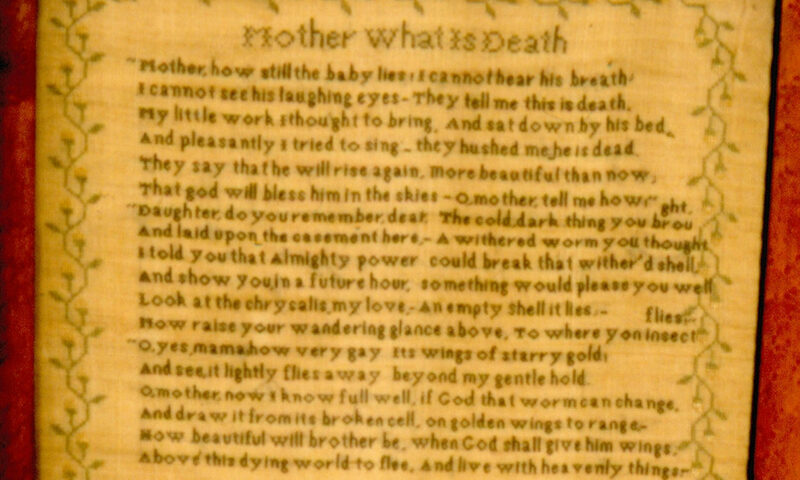 The mother in the poem obviously believes in Heaven and God, which comforts her in her loss. Does the fact that she believes her child will be reborn and happy once again make us think the death is less tragic? Would you sacrifice someone for the greater good - your enemy, your child, yourself? Murder can be defined as the deliberate unlawful killing of another person. But can murder sometimes be justified? Is it our fault if we die from a disease? Is killing yourself a rational thing to do? Is there ever a 'good' time to die? Can we ever understand the reasons why a child has to die? At some point most societies and religions around the world have practised human sacrifice – killing people as offerings to their gods. By giving up something of value they could ensure a good crop or the survival of an entire kingdom. In many parts of Polynesia up until the 20th century people were sacrificed on completion of a new war canoe. 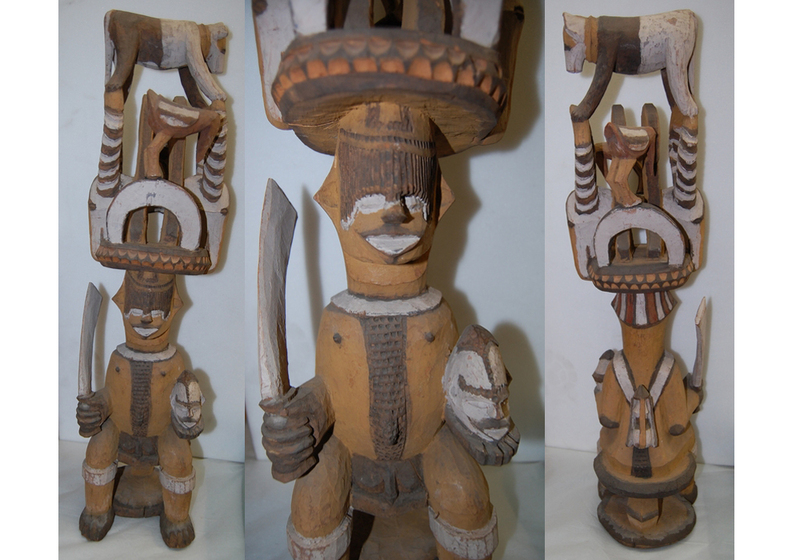 This would protect the boat and its warriors and increase the power of the chief who had ordered it to be made. The tomb of the First Qin Emperor in China, completed in 208 BC, is supposed to hold the bodies of all his concubines, for his afterlife. The tomb also contained the hundreds of workers who had constructed the site and were sacrificed so that they could not reveal its secrets. 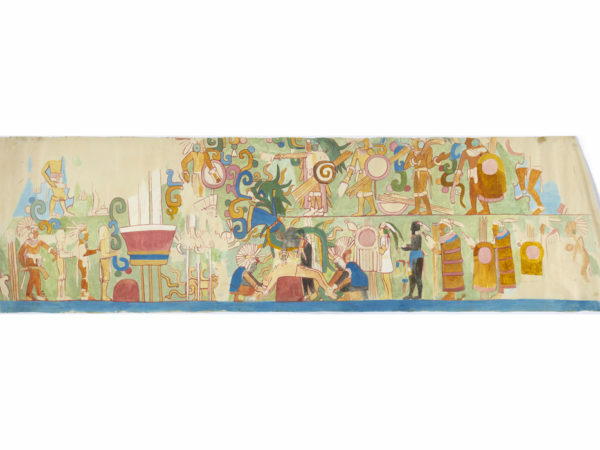 Sacrifice scene copied by Adela Breton in about 1900. 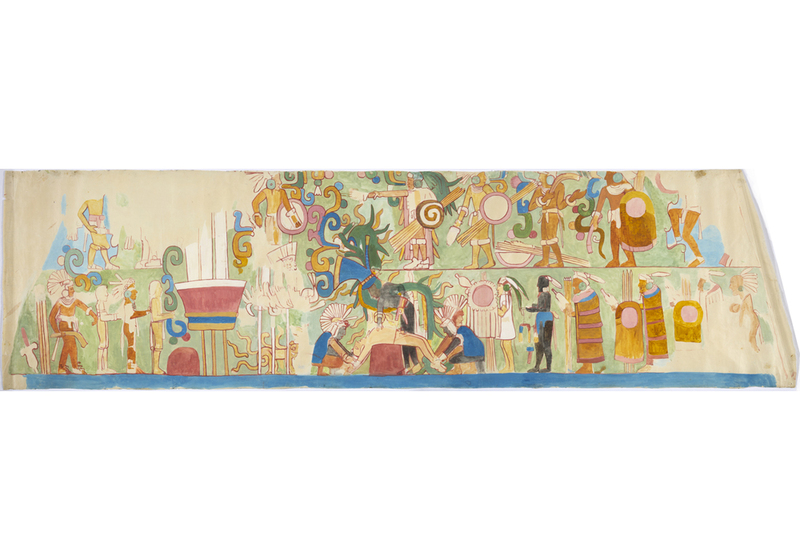 A watercolour copy of a wall painting from a Maya temple in Mexico (built between 800-1050 AD) showing high status prisoners of war being sacrificed during important rituals. In the past, head hunting, killing a person and preserving their head, was practised in societies from Scandinavia to the Pacific Islands. It was carried out for a variety of reasons but most of all it reinforced the structures of societies and people’s place in their community. Attacking and killing your enemy has been seen as a rite of passage for many young men throughout time. Today most countries recognise such killings as ritual murder and as a criminal offence. The mass suicides at Jonestown in Guyana in 1978, where cult leader Jim Jones ordered hundreds of his followers to kill themselves, could be seen as ritual mass murder. 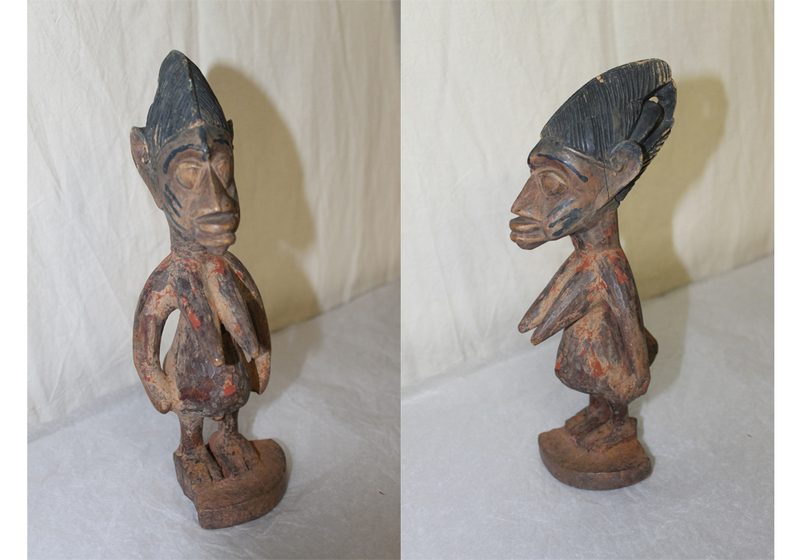 Ikenga (‘place of strength’) figure made by a carver of the Igbo people of Nigeria in the late 1800’s. It shows the ideal warrior displaying his military prowess. For many thousands of years when outbreaks of infectious diseases killed large numbers of people it was thought to be a punishment from the gods or God. Scientific and medical understanding of microbes, bacteria and viruses over the last 300 years means we now know what causes these illnesses. 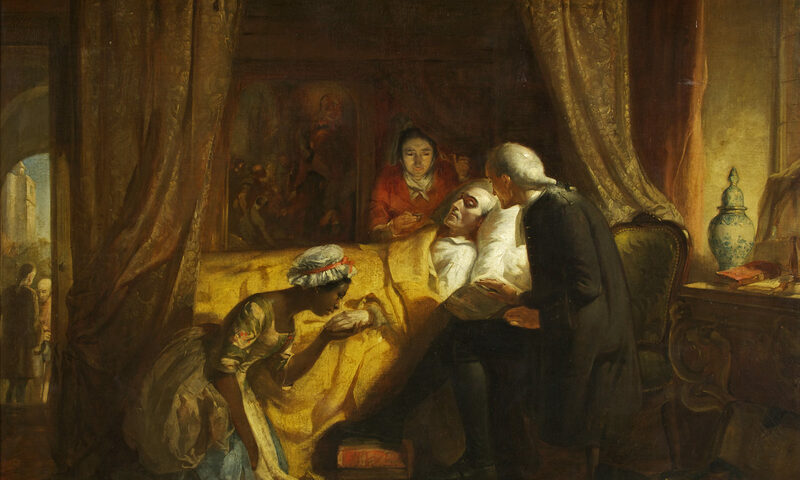 In the past epidemics of plague and cholera were the biggest killers. Today AIDS viruses and influenza the largest threat to human populations. The most recent outbreak of Ebola in West Africa has killed over 11,000 people with no licensed treatment currently available. We may understand the causes, but fear of a disease that can kill a healthy human in an agonising way within days remains with us. 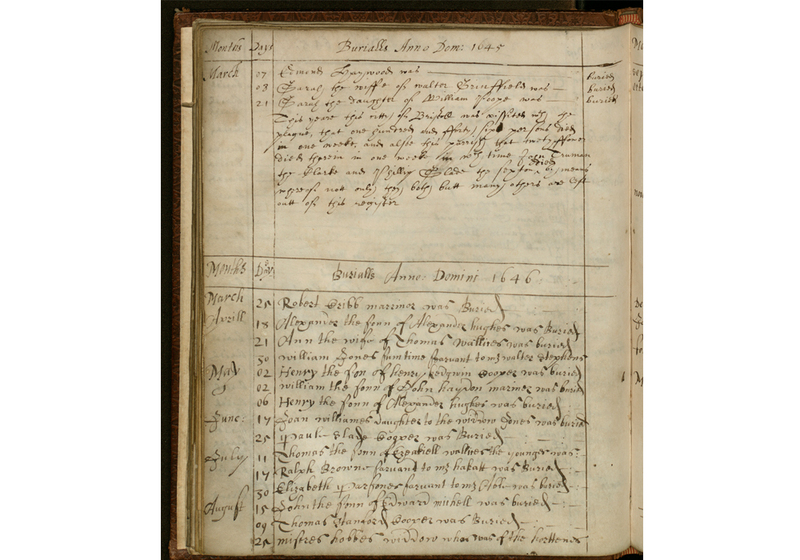 Page from a burial register of St. Nicholas Church, Bristol, in 1645/6. 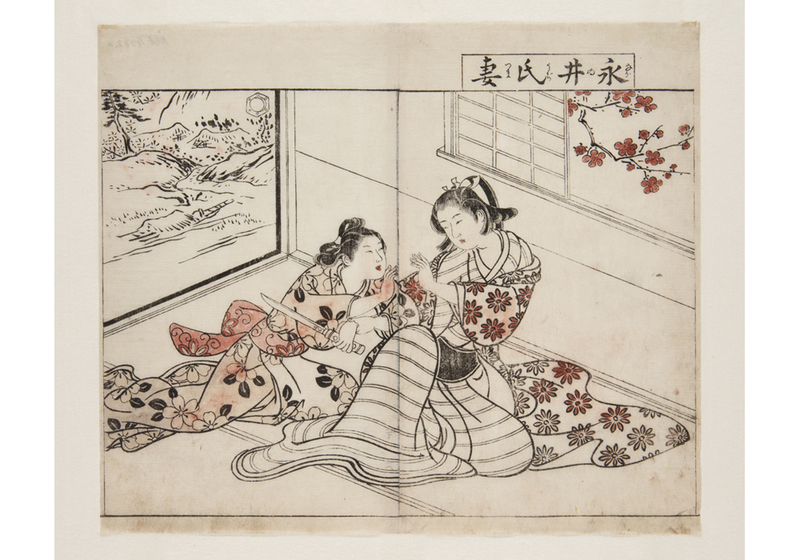 It explains that due to an outbreak of plague, recent burials are unrecorded. In Ancient Greece and Rome deliberately killing yourself was sometimes considered acceptable, or even an honourable way to die. In some Asian societies sati was practised for centuries – a widow would kill herself, usually by throwing herself on her husband’s funeral pyre, in order to remain ’pure’. Now illegal, it still happens occasionally, whether by choice or coercion. The Jewish, Christian, Islamic and other faiths came to outlaw suicide. People who had taken their own lives could not be buried in consecrated ground and shame was brought on them and their families. To ‘commit suicide’, or ‘self-murder’, became a crime in England in the 1200’s and was not made lawful until 1961. Today the stigma of suicide is reducing with better understanding of the complex reasons that surround it. 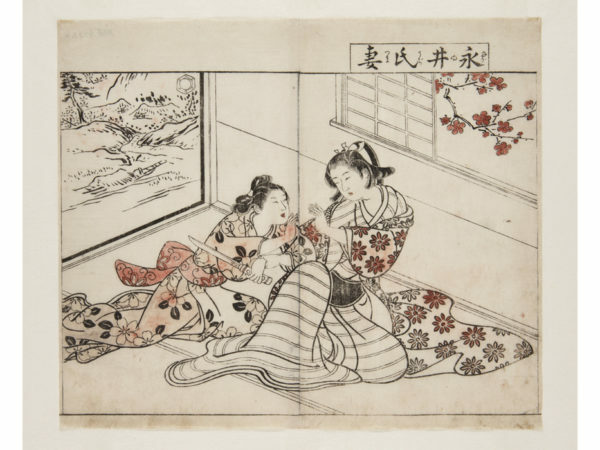 ‘The Wife of Nagai Dissuading him from Suicide’ – print by an unknown artist published in Japan in 1757. Nagai is about to commit seppuku (ritual suicide by cutting open the stomach). If you, or someone you know, are having suicidal thoughts there are many organisations that can help. [email protected] or call free on 116 123. Ann Shellard died at the age of 94 ‘with an intellect so clear’ to within three hours of her death, and with ‘nearly 200 to mourn her loss’. This sounds like a way to die that many would like for themselves. However when someone dies ‘before their time’ the death can feel unsettling. When a death occurs unexpectedly we can struggle to come to terms with our own thoughts of guilt or actions left undone. But how long should we live? 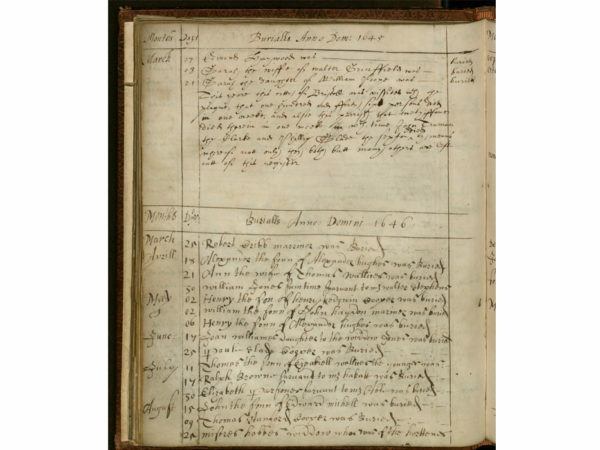 ‘Threescore years and ten’, or 70 years, as the Christian Bible says? When our life is ‘complete’? Or when, as Muslims believe, Allah’s appointed time for us has come? 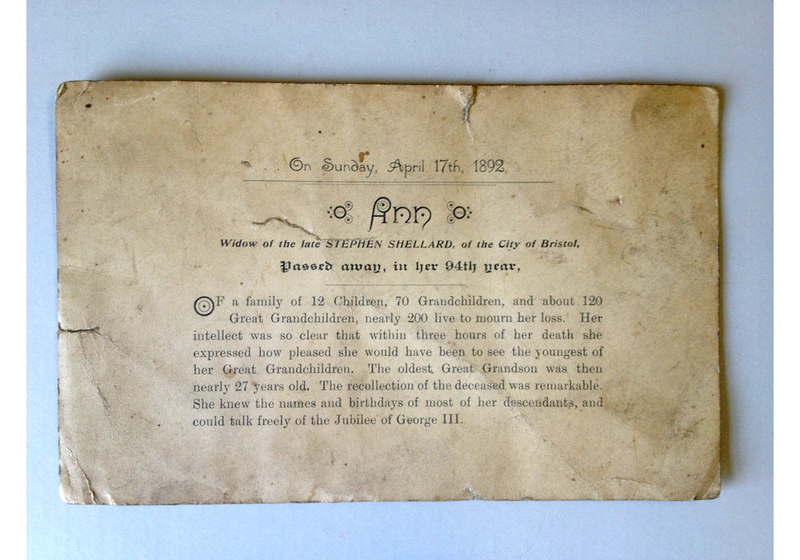 (TB1975) Death notice for Ann Shellard of Bristol in 1892. 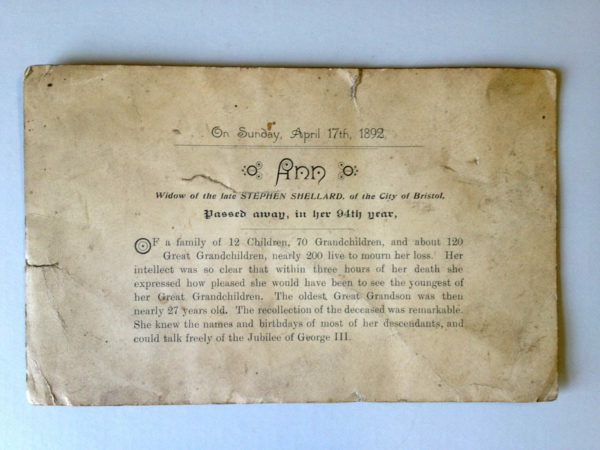 These notices were sent out to announce a death to the wider family and the rest of society. Infanticide, or the intentional killing of a child under 12 months, has been practised by all societies throughout history. It has been estimated that up to half of babies that were born in prehistoric societies in Europe were killed. This was probably to make sure there were enough resources for those that survived. In many countries, in areas of extreme poverty or overpopulation this still happens today. At different times in our history the death of a child has been an economic necessity and at others a tragedy. The loss of a child, even before they are born, can bring unbearable grief for the parents. When a child dies through neglect or abuse our society can feel a responsibility that not enough was done to protect them. 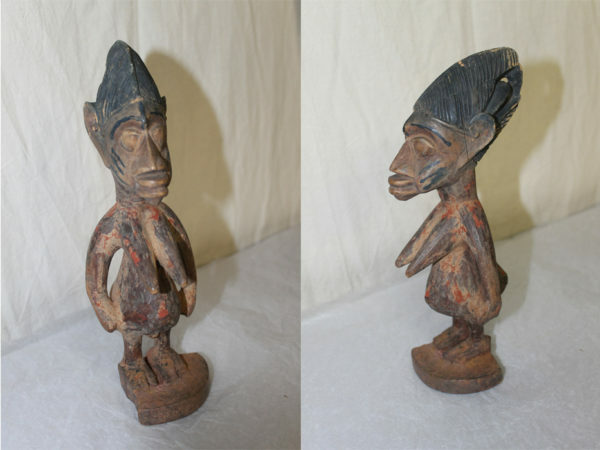 (E5457) Ibeji (twin) figure from Nigeria, early 1900’s. 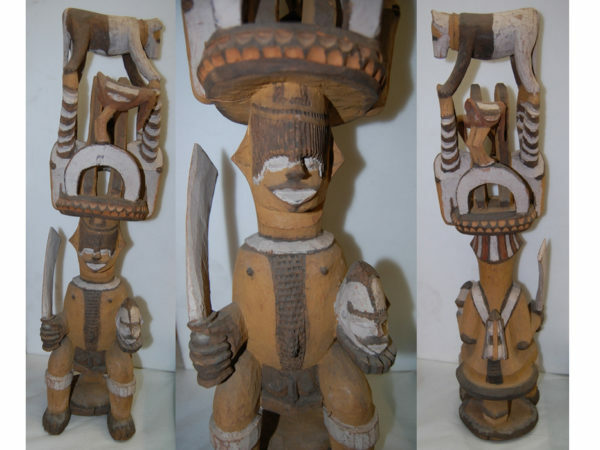 These were carved when a child twin died, and was looked after by the mother to make sure the surviving family remained healthy.